The food options in the Far East (and by that i mean Changi/Loyang) have been growing, much to my delight. It's amazing how The Coastal Settlement is forever packed considering the ulu location but well the food is pretty ahmazing. So so, they have opened a sister restaurant just across the road (yea you heard it from me). 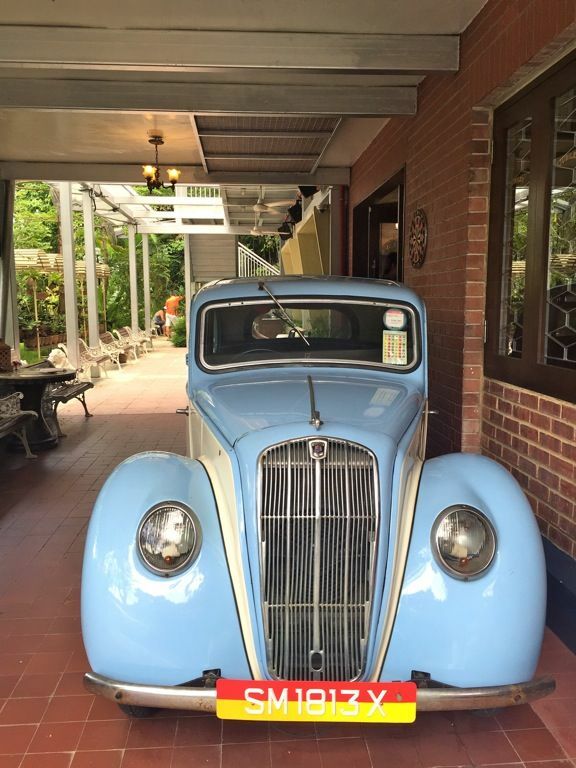 Jubilee Coffee House and Bar serves local and western food in a charming restored bungalow, complete with its little garden. As compared to The Coastal Settlement (who also does a mean Mee Goreng), the emphasis is more local flavors with snacks like Battered Otah Sticks ($13). Local delights such as Chicken Satay ($12), Chwee Kueh ($5), Fried Carrot Cake ($10) and even Chicken Porridge ($10), are available. Prices seem to be high for local dishes, well that's the impression until we were served our mains. My Pork Cutlet Rice with Curry ($18) was everything i wanted and more! I certainly wasn't expecting 2 gigantic slabs of fried pork cutlets! I absolutely loved the thick slices of meat (abt 1.5cm thick) and they were rather tender and juicy, just like the katsu from Saboten or Tonkichi. 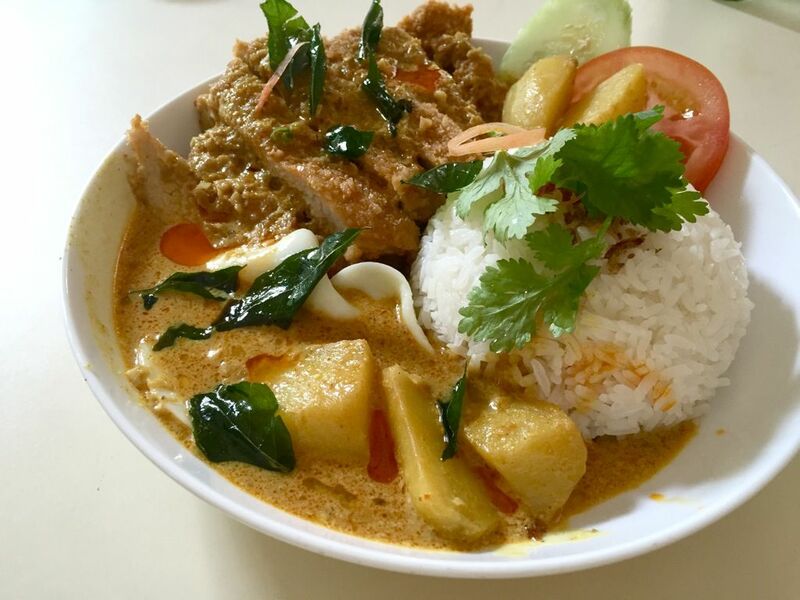 The curry was also very rich and full of the fragrant coconut flavor. This reminded me of Hainanese Pork Chop curry (which is actually what it is) but the curry has a less starchy consistency compared to the regular gravy. I preferred this anyway because the sauce is more robust. I was amazed at my ability to finish about 1.5 pieces of pork cutlet. Definitely a must order at Jubilee! 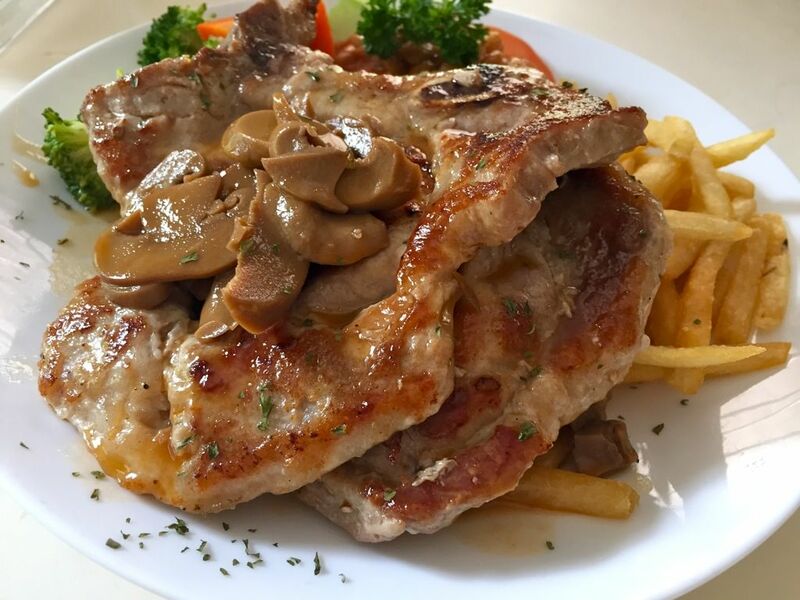 The Grilled Pork Chop ($18) was also of massive proportions. Sufficiently juicy and tender, it even has a nice crispy browning on the surface. Choose between mushroom or black pepper sauce. 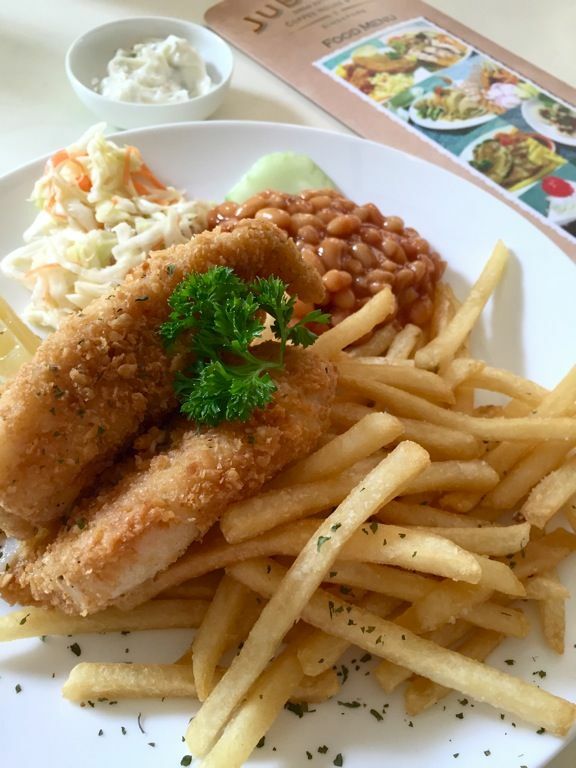 S had the Changi Fish and Chips ($18) which were 2 pieces of premium Dory fish. The meat was rather firm (in the good way as i don't enjoy overly flaky fish). The panko sorta crust was used and there may even be some cereal bits (if you notice from the pic) in it. I would say that this is of a regular portion as compared to the pork chops. 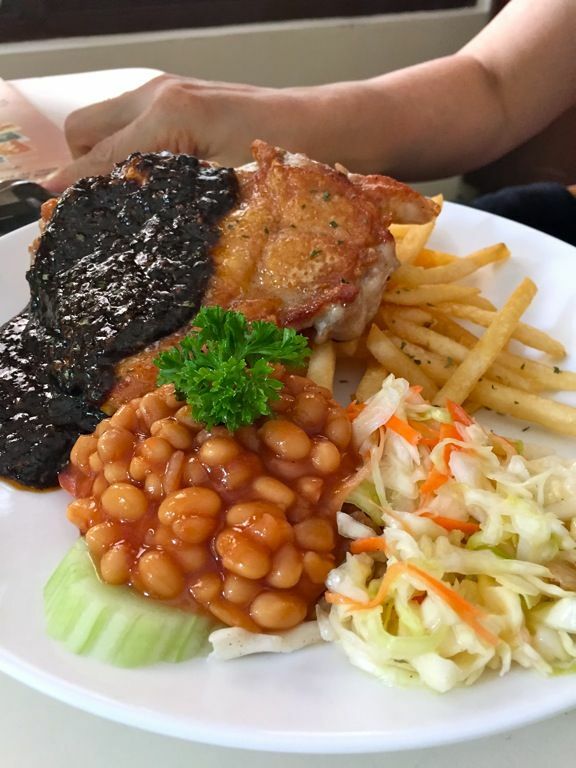 The Grilled Chicken Chop ($17) was also a little on the small side. I didn't think that chicken or fish are more expensive than pork? Anyway, loved that golden crackling on this one. The black pepper sauce also packed a punch. The chinese desserts are certainly overpriced at $7. There's Cheng Teng, Chendol ($7), Ice Kachang etc. Something interesting off their desserts list would be the Yam Brulee ($8) which may be just Or-Nee. I suggest that you head over to Changi Village for your fix of Chinese desserts. 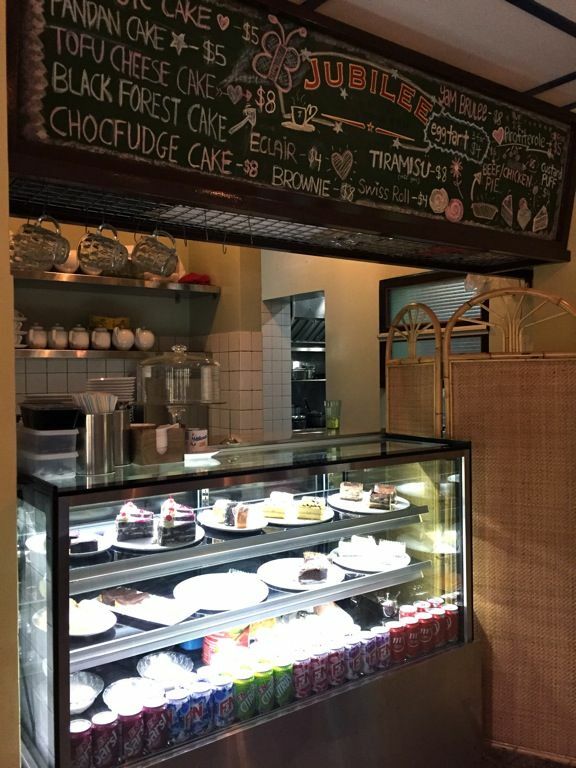 If you're tired of the wait at The Coastal Settlement, you could certainly consider Jubilee Coffee House and Bar. 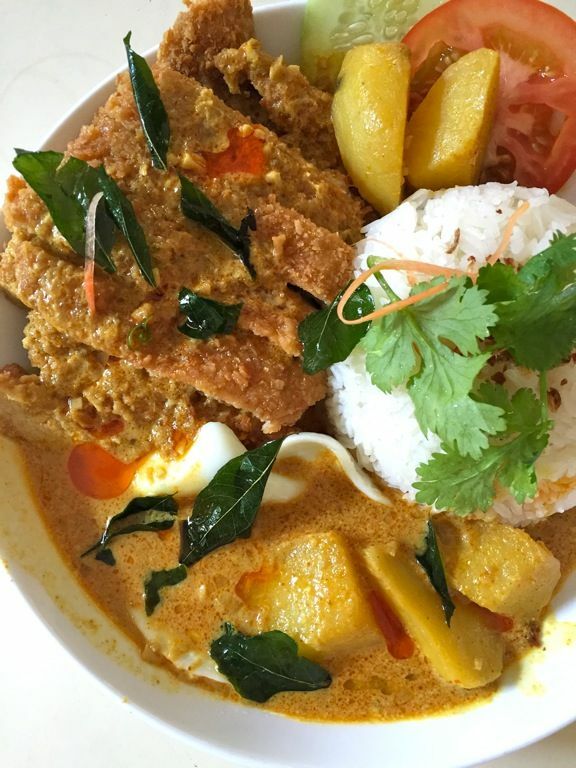 Do not miss that Curry Pork Chop! Go before it becomes the next TCS and remember you hear it first from Ms Skinnyfat!